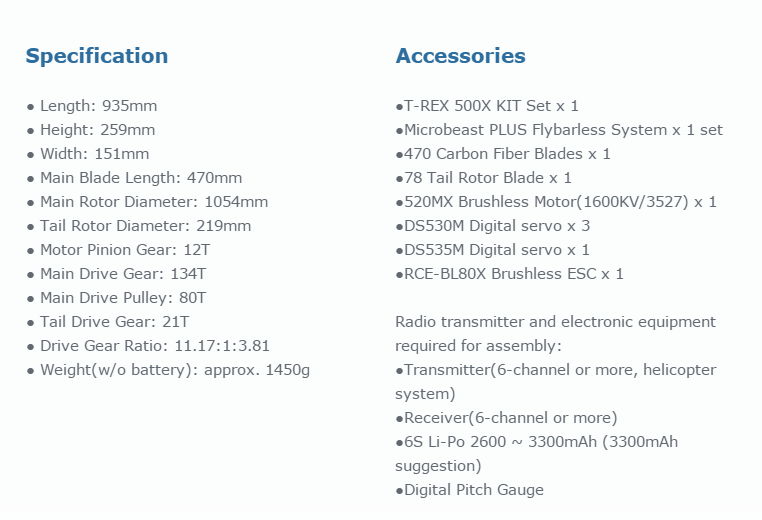 You will earn 326 Points for purchasing this product. 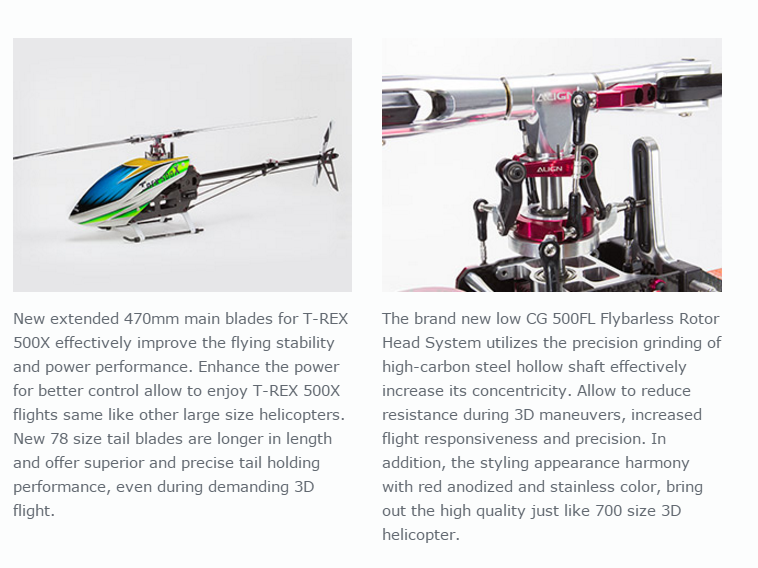 Refresh and refine, T-REX 500XT adapt with brand new FL rotor head system, utilizes an extremely low CG design which reduces resistance during 3D maneuvers while increasing flight responsiveness and precision. 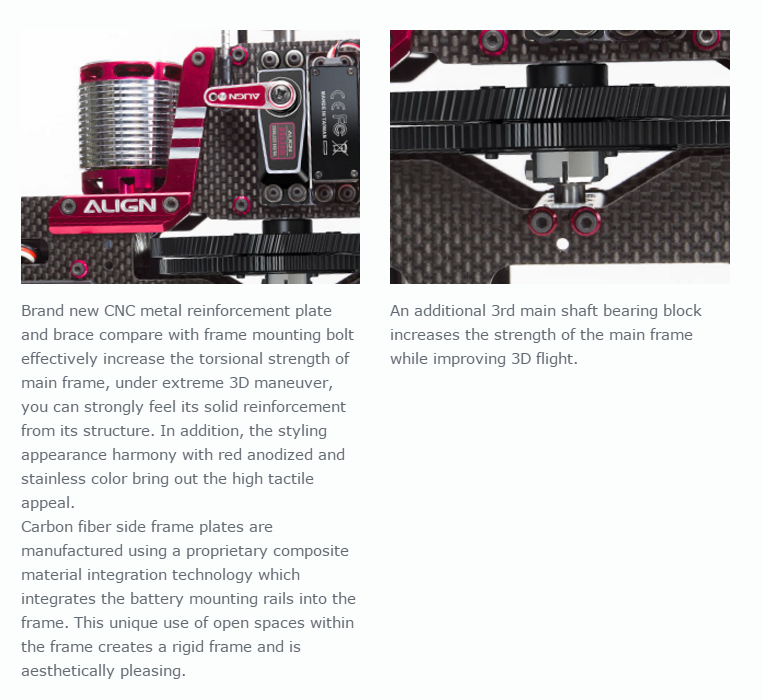 A progressive design adds a gloss silver and red anodizing appearance which continue our quality development based on our 700 class helicopter. 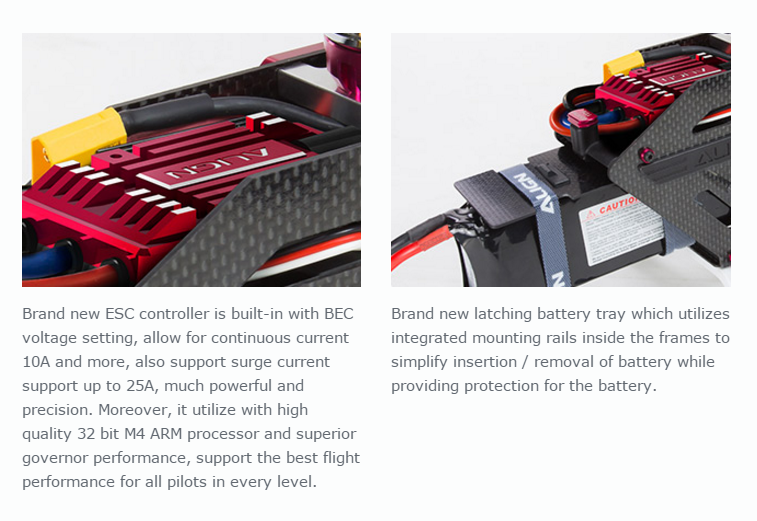 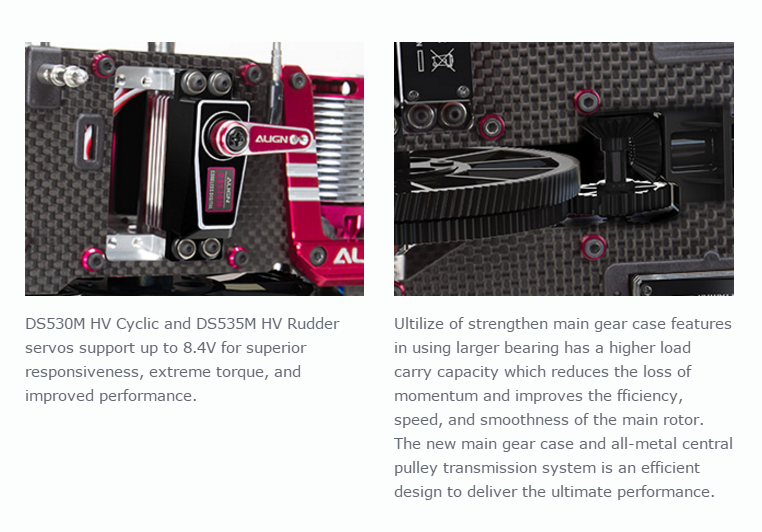 The T-REX 500XT main frame utilizes composite material integration technology on carbon side frame plates, including the addition of battery mounting side rails, and a top motor mount design. 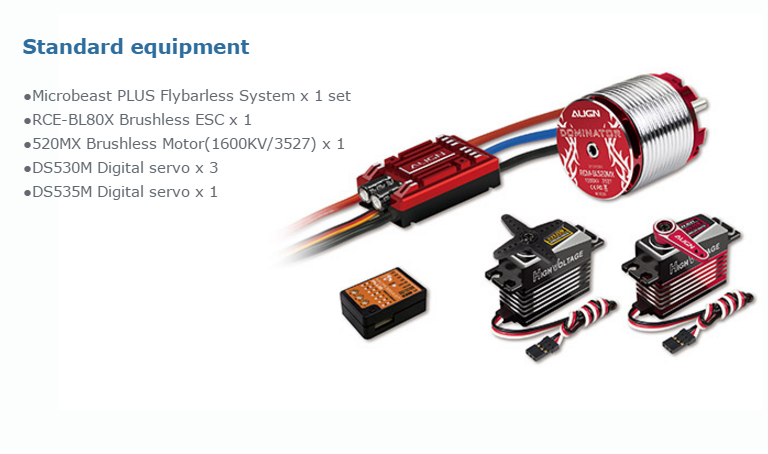 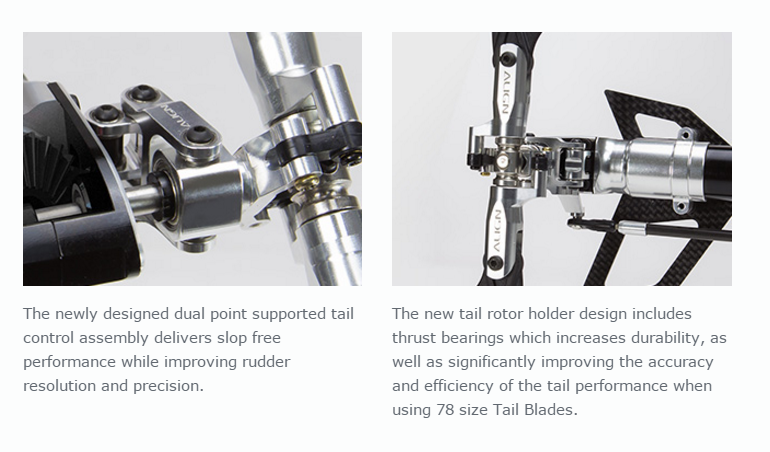 The 500XT utilizes a new torque drive assembly, highly reduce gear abrasion and increase power output gives more direct and precise flight performance and extraordinary tail performance. 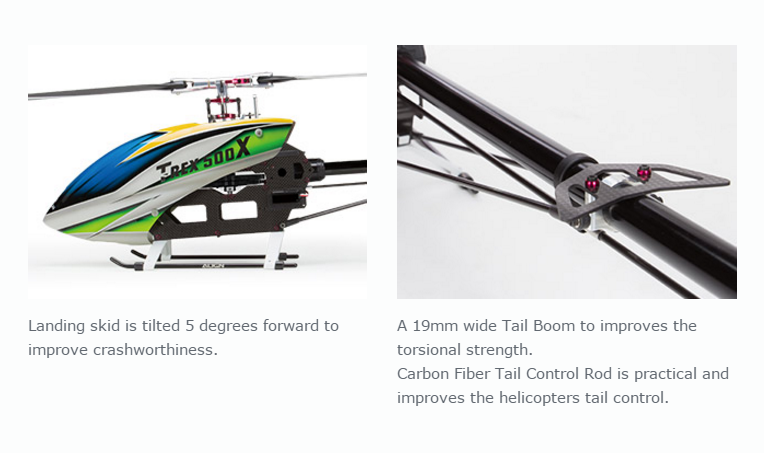 T-REX 500XT landing skid is tilted 5 degrees forward to improve crashworthiness.